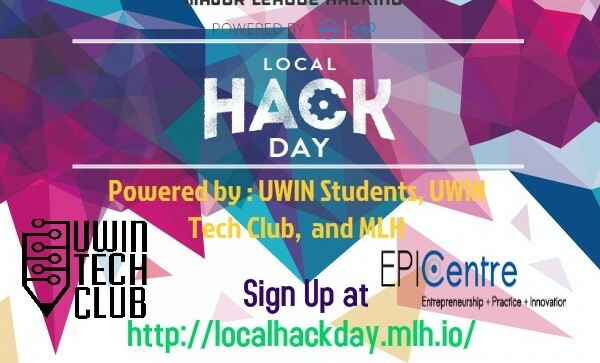 Soham Patel, a second year engineering student and aspiring entrepreneur organized a Local Hack Day in collaboration with Major League Hacking (MLH) on October 10th. The event encompassed a mini hack-a-thon that was held at the Centre for Engineering Innovation (CEI) and open to high school, university and college students. Hack-a-thons involve competing in teams to build a product or business idea, usually with a technological focus. A typical hack-a-thon runs for 36 hours, whereas the mini hack-a-thon ran for 12 hours from 9am to 9pm. The Local Hack day had 50 attendees, with about half of these coming from high school, and half from the university. Seven teams and one solo entrepreneur participated in the competition. Soham credits Major League Hacking, EPICentre, the U Win Tech Club, as well as the Windsor-Essex community with supporting the event and making it possible. Soham’s ambitions behind the Local Hack Day stemmed from visits to Waterloo, Illinois, and Georgia Tech, where he saw a strong culture of innovation and entrepreneurship. His goal is bring the same kind of enthusiasm he saw there to create an entrepreneurial culture within Windsor. After having such a successful event, Soham plans to continue to grow Local Hack Day and host the event annually.